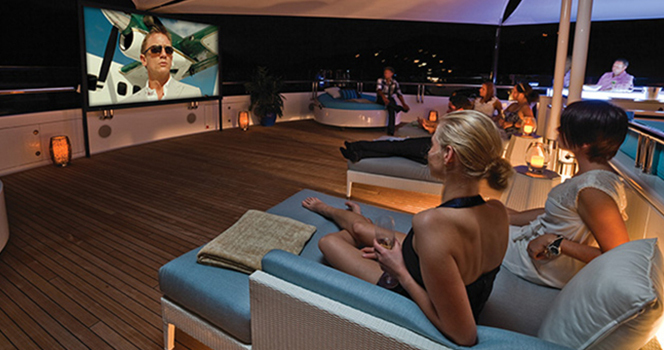 This is the Premier Yacht Charter Destination for a Group Yacht Charter or a Corporate Incentive Travel Program. A bounty of unspoiled islands and cays surrounded by turquoise seas and blessed with gentle tropical breezes, sundrenched beaches, secluded coves, quaint shoreside villages, and sweet serenity. The sailing area stretches only about 35 miles from end to end, and the islands are close together. We sail aboard our U.S. & BVI catamaran charters for 2-3 hours at a time in sheltered waters, always within sight of land. 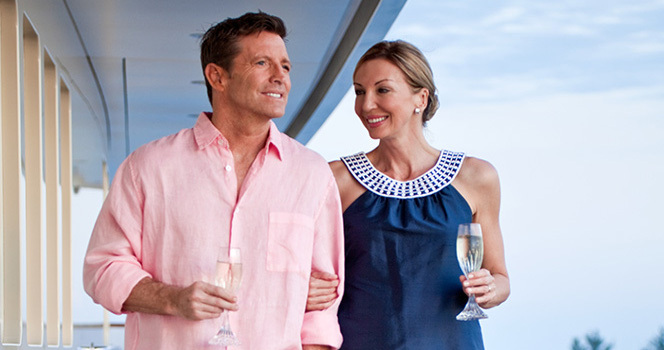 It's the perfect choice for someone who is embarking on their first yachting getaway. The islands are shaped like a necklace in the sea, providing good shelter which translates into calm seas. There's no open ocean sailing. 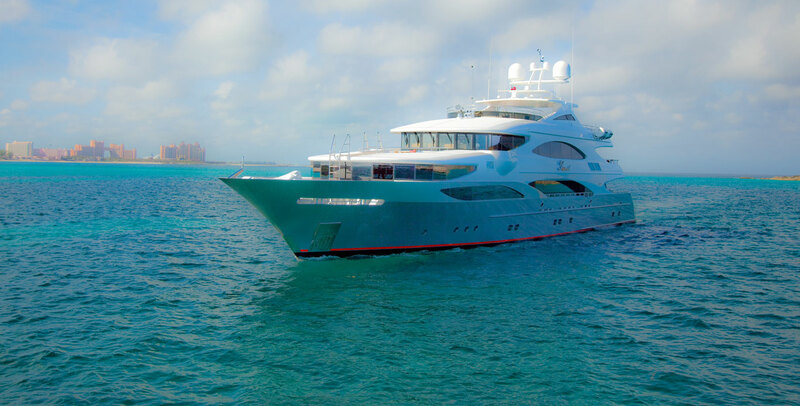 95% of the British Virgin Islands charter guests on our group programs have never been on a yacht before so the Virgins offer a very easy transition from land to sea. 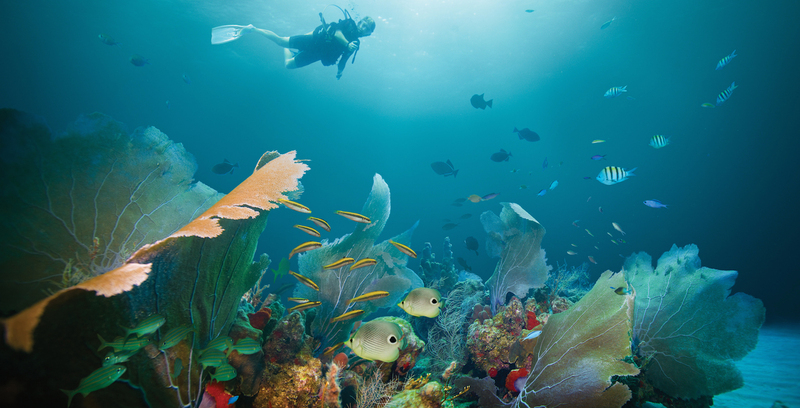 The British Virgin Islands are often referred to as "Nature's Little Secret Paradise." 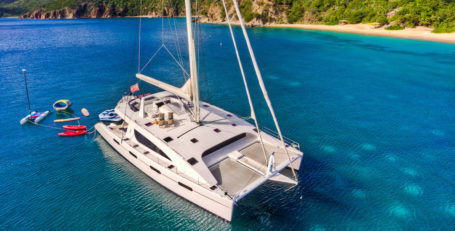 Although many people have visited the nearby island of St. Thomas, few have experienced the "real Virgins" - those off-the-beaten track places that you can only get to by a BVI catamaran charter yacht or superyacht..
About 15 cities including Boston, New York, Chicago, DC, Charlotte and Miami have direct fights into St. Thomas, and airfares are very competitive. Virgin Gorda - "The Baths” on Virgin Gorda are probably the most photographed natural site in the Virgins, and for good reason. They are a stunning scene...house-sized boulders on an isolated point of beach with cathedral openings to the sky and grottos for wading and swimming. 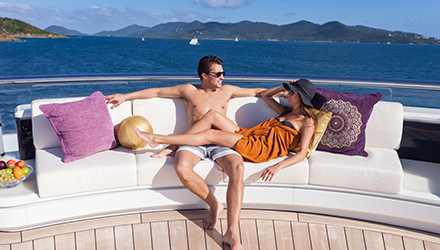 Aboard your British Virgin Islands charters, Yyou'll also find shoreside spas, boutique shopping, beautiful sun-splashed beaches, a bevy of beachside restaurants and pubs, lovely bays for watersports, and lighthearted welcoming people. 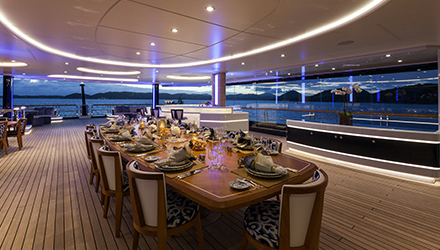 A BVI catamaran charter groups’ favorite is an exclusive beachside evening of dining and dancing under the palms at the XYZ Company Yacht Club. Jost Van Dyke: You only get here by boat. in fact, electricity and telephone service arrived only a decade ago. About 200 people live here In a quaint seaside village nestled in the palms or in cottages that dot the tropical hillsides... last count, there were ten cars. White Bay is one of the most beautiful beaches in the entire Caribbean. The names of the beach bars alone are enough to lure you ashore - Ivan's Stress Free Bar, Sydney's Peace and Love, the Soggy Dollar (because you have to swim there) and of course, the world renowned Foxy's. Can you limbo rock? A favorite activity on Jost is an afternoon beach bash on our own private section of beach in White Bay. Norman Island: A totally deserted island thought to be the inspiration for Robert Louis Stevenson's "Treasure Island." We often anchor in "The Bight" where pirates used to tuck away their ships, getting ready to plunder and pillage. 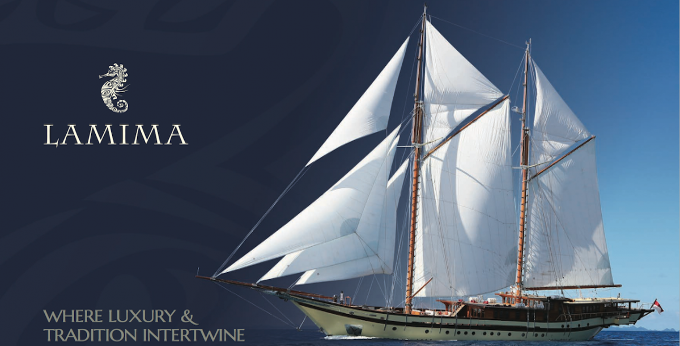 There's still an old pirate ship at anchor that offers daily libations. After a day on a British Virgin Islands charter of sailing, watersports, and basking, we'll often stage our “Sun Sets Over the Yardarm Welcome Party” at Pirates Pub. Peter Island: One of the best beaches in the BVI - Deadman’s Bay. The name is a rather dreadful and can be blamed on Bluebeard who stranded his mutineers there with a cutlass and a bottle of rum. Now home to the ultra-luxe Peter Island Yacht Club and Resort, it's an enchanting bay for basking in the sun, enjoying watersports, hiking into the hills or being pampered at The Spa at Peter Island . 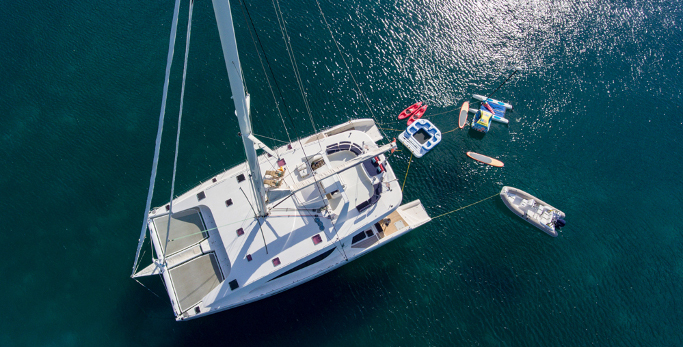 We end this glorious day of your British Virgin Islands charters trip with our signature Raft-Up Party where we tie all of the yachts BVI catamaran charter yachts together to make a giant party platform, creating our own revelry in the middle of nowhere. St. John: Two thirds of this tranquil island is preserved as a National Park including most of the bays where we anchor. 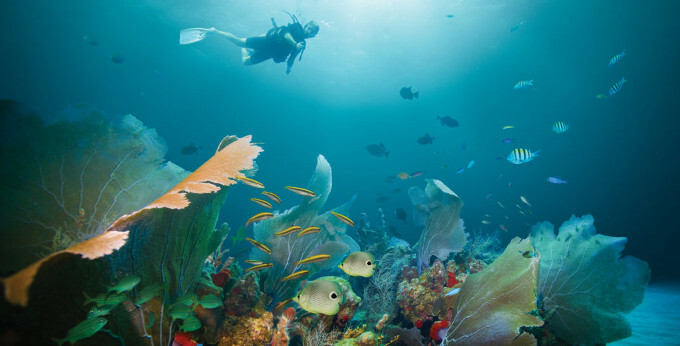 You’ll find pristine beaches, crystal clear turquoise waters, and protected reefs teeming with a colorfest of coral and fish. Numerous hiking trails cut into the tropical hillsides. 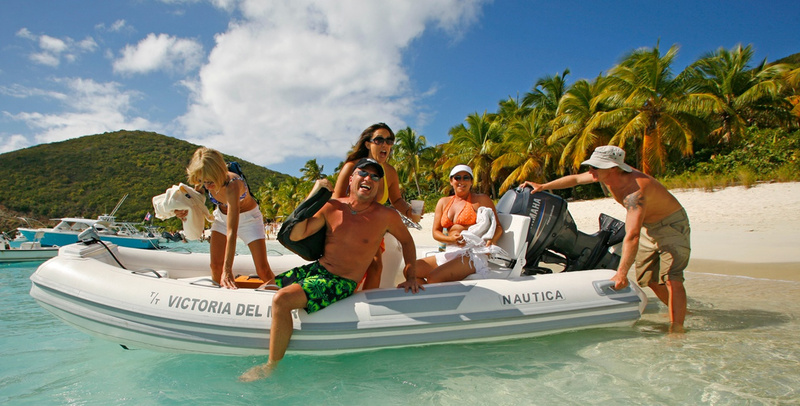 The easy walk to the Annaberg Ruins of an old sugar plantation is a favorite of any BVI catamaran charter itinerary. 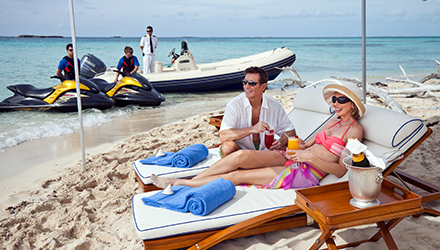 Vibrant Cruz Bay will delight even the most intrepid of shoppers. The boutiques and shops here are nestled into the trees in shaded alleyways and hillsides and offer an eclectic mix of local fine art and crafts, handmade jewelry, unique hand painted clothing, designer jewelry. 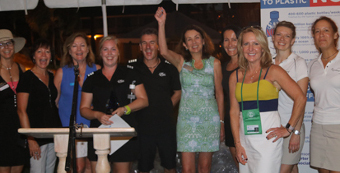 Ocean Getaways customizes each U.S. and British Virgin Islands charter itinerary to the preferences of each group and creates daily group activities.